Being comfortable floating on the back can be challenging for many young, learner swimmers. It can be a bit scary to lay back in the water and feel that the SwimFin will support them but it totally does! You can assist your child to gently lay back, while holding them, and allow them to feel the SwimFin fully supporting them on their back. Encourage your little shark to relax and lay in a star position which will help them to feel more stable and comfortable in the water. Then, by simply turning one shoulder, the SwimFin will help your child to right themselves vertically to an upright floating position to play and splash about. Try this starfish float a few times each swimming session while remaining close or touching your child to ensure them that they are safe and secure. As your child feels more confident, the star shape can become the beginning of the back stroke by bringing their legs together and starting to kick and move a bit while floating on the back. Beginner swimmers who are learning the front crawl will often have challenges with positioning their body properly. 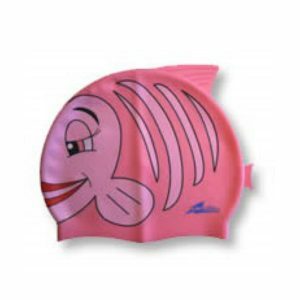 Without a SwimFin, it is difficult to see whether your child is maintaining a proper front crawl position but when wearing a SwimFin, you can very easily see errors. Most children will rotate their torso too much in the water while learning the front crawl. This can lead to a less efficient stroke for your little shark. Have your child wear the SwimFin and ask them to think about keeping their body smooth and sleek like a shark! When a shark swims through the water they maintain a straight and smooth line which allows the fin to glide through the water effortlessly. As your child swims across the pool, remind them to keep the SwimFin straight upright and not wobbly in the water and they will naturally smooth out their torso movement to allow them to swim more swiftly and efficiently. SwimFin is designed to provide the greatest amount of flotation and support when your child is in a fully vertical position in the water. As your child feels more confident they will naturally begin to lean forward slightly, using their arms and legs (which are free from any restriction). As they lean forward more, the SwimFin rises out of the water more and more. When your child is in a fully prone position on their front for a front crawl or doggy paddle and the SwimFin is entirely out of the water, the SwimFin no longer serves as flotation! This allows your child to progress at their own rate. They will always return to a fully supported position when vertical in the water. SwimFin aids in boosting swimmer’s confidence to allow them to progress faster and more safely! How fin-tastic! So strap a SwimFin on your little shark, join them in the water and prepare yourself for a fin-tastic swimming session! We’re thrilled to be featured on the brilliant online website and shop, Bambino Goodies this month! Bambino Goodies’ contributor Claire and her family put SwimFin to the test on the Lazy River at Disneyworld in Florida. We love how much confidence Claire’s Little Shark has thanks to her beautiful blue SwimFin. Not only does SwimFin give little swimmers confidence, it also reassures parents that their children will be safe in any situation. Of course, we always remind parents that there is no substitute for your hands-on presence in and around water, especially with young and learner swimmers. Where will you be taking your SwimFin as the warmer weather and Summer holidays draw nearer? 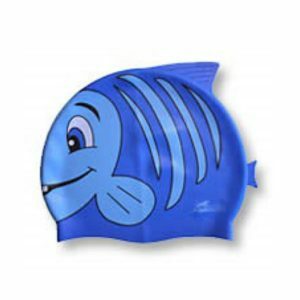 It’s the perfect time to get ready for splashtastic fun by ordering your SwimFin and getting ready for your swimming adventures. Which colour will you choose?? We love nothing more than seeing SwimFin in action with our fintastic SwimFin fans! Not only do we receive wonderful reviews from bloggers and mainstream print publications but SwimFin fans are always keen to share their progress and smiling sharks with us throughout our social media channels. In case you have missed them, here are some of our fans showing their SwimFin style! Fabulous lifestyle and parenting blogger, Kara Guppy writes at Chelseamamma and Are We Nearly There Yet. Kara has enrolled her children at Turtle Tots Dorset and they have seen some amazing progress in the last several months, in particular. Many Turtle Tots Swim Schools offer SwimFin as a component of their swimming instruction in regular lessons. What a great way to get your little shark to build confidence and have fun in their swimming lessons! Kara’s son Sebby is on show in this brilliant video. We are particularly fond of Sebby’s bubble-blowing noises in the background noise of the video. Sebby’s smile really tells it all! We have SwimFin Distributors all over the world as well as Swimming Schools who use SwimFin in their daily lessons. Coach Sport is based in Dubai and shared a brilliant picture with us on Instagram the other day. This Little Shark is very clever indeed!! We started our YouTube channel late last year and are pleased to be creating our own unique promotional videos. We have compiled two different playlists, however, to allow our SwimFin fans to watch more than one video at a time. We are very proud of our “Ask Kevin Moseley” series which answers a lot of questions that our SwimFin fans may have. Additionally we have created a “SwimFin in Action” playlist which features review videos, examples of SwimFin users in the water and lots of fun footage. Grab a cuppa and have a browse! We love having an active and engaged Facebook page. If you haven’t LIKED our Facebook page yet, please do so you don’t miss out on exciting offers and collaborations over the Summer months. We are part of a BIG competition offer with amazing brands that kicks of at the beginning of June! You won’t want to miss it! Our Facebook Fans often share their photos with us from Holidays and Swimming Lessons which makes us so proud! We love seeing those happy, smiling faces. If you would like to share your SwimFin snaps with us, post them on our Facebook Page today! We were contacted by SwimFin fan, Katie Slate, who just so happened to be on holiday in Florida. They had arrived at their holiday hotel in anticipation of great adventures at Disneyworld. Then they discovered that they had forgotten their son’s SwimFin in the UK! They got in touch with us through our Facebook page and we were able to connect them with our US Distributor, The Mermaid Academy, who happen to be located at Walt Disney World as well as additional locations throughout the Central Florida area. Katie and her family visited Joe at The Mermaid Academy and were able to purchase a replacement SwimFin to be able to enjoy their water fun on holiday. We’re so pleased that everyone had such a fintastic time! Have you had a positive SwimFin experience that you would like to shout about? Share your SwimFin in Action snaps and videos with us. We love hearing from our fans and knowing that their swimming is fun and progressing! Happy swimming SwimFin fans! We love collaborating with other brands, particularly when we’re all focused on a similar message: families, fun, safety and getting out and about on holiday! From June 1-26, Stickerscape is running a fintastic giveaway involving some amazing brands, including SwimFin. The brands involved in this perfect Holiday Preparation Giveaway include: Childs Farm, trunki, Nuby, Water Babies, Inch Blue, Max & Nancy, Snoozeshade, Mama Designs and Baby Aid. Of course, SwimFin is involved with the offer of a SwimFin (in the colour of the winner’s choosing) as well as our Dinky Divers and Funky Floaties pool toys. You will not want to miss out on this giveaway! Pop over to the Stickerscape Facebook Page to enter soon. The Giveaway runs until midnight June 26, 2016. For full T&C’s, read this post: Stickerscape social media competition Terms & Conditions. While you’re at it, visit the sites and Facebook pages of the brands involved to learn more about their amazing products! If you are the lucky winner, you will be totally sorted for your Summer Holidays ahead! We can’t wait to see who wins! Our Social Media and Marketing Coordinator, Karin Joyce, is sharing her son Sam’s experiences with SwimFin this Summer. We look forward to seeing Sam’s progress over the next two months and are sharing his first SwimFin swim of the Summer in this first installment. My son Sam is 4 years old and is very much a beginner swimmer. We introduced Sam to the water at an early age (approximately 7 months old) but last Summer we saw the greatest progress from Sam with the introduction of a bright Neon Lime green SwimFin! Sam was very excited to try out the SwimFin but was also very used to myself or his Daddy being close to him in the water. On his first SwimFin outing, I slowly lowered him into the water and held him close to me as we swirled around in the water, getting used to the temperature and the feel of the SwimFin. Sam would not let go of me however, was very comfortable. I kept my voice very happy and encouraging and watched for his cues that he was getting tired and/or cold. We kept the first session short enough to not wear him out but it was definitely enough to whet his appetite for more. Each subsequent swimming session, we repeated the same steps, focusing on positive chatter, lots of eye contact, connecting physically and allowing Sam to feel the SwimFin supporting him in the water. SwimFin is different to other swimming aids primarily in the way the child sits in the water. Swimming aids like arm bands, vests or swim rings support your child on top of the water. SwimFin allows your child to sit in the water in a proper upright swimming position. Your child’s chin will rest on top of the water and their arms and legs will be free to move, kick, paddle and splash which allows them a real sense of freedom. Sitting in the water in this way can, initally, be a little unsettling which is why it is important to hold your child and show them how the SwimFin will support them while you are right there. As your child grows to appreciate how the SwimFin will keep them safe and supported, they will relax and begin swimming. For Sam, that happened on swimming session 3 and 4. As he let go of me on our fourth swimming session, the smile on his face was brilliant! Off Sam went! Last Summer we used our SwimFin exclusively to allow Sam to grow in confidence in the water. Sam was able to paddle about independently, always immediately supervised by adults. He had fun and grew braver over the course of the Summer. Ideally, we should have enrolled Sam in formal swimming lessons last Autumn to capitalise on that confidence, but if you’re a parent, you know that life sometimes gets in the way. Instead, we have just this Summer enrolled Sam in formal swimming lessons at a local leisure centre. Sam’s swimming instructors/school do not use SwimFin (unfortunately) as a part of their instruction so Sam is learning at the Stage 1 level and is gradually becoming more comfortable with the idea of swimming “like the big kids”. We will continue using SwimFin in our outdoor swimming sessions with Sam as a complement to his lessons and see how he progresses. We will share this with you in periodic videos and posts. Here is Sam’s first SwimFin swim of the Summer! In recognition of National Drowning Prevention Week, sponsored by the Royal Life Saving Society- UK, which runs from 18-26 June, SwimFin is offering the Ultimate Summer Hamper competition for our fans! 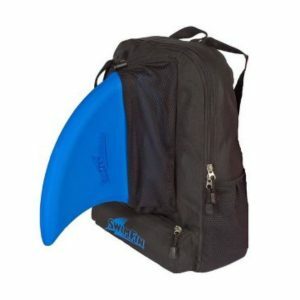 Wouldn’t you love to win the perfect collection of SwimFin products? Your Summer swimming sessions will be fintastic if you are the winner! Not associated with Facebook in any way. Entry into our competition is done by following the entry requirements in the Rafflecopter entry form by clicking on the link below. Please comment on this blog post by answering the question: What colour SwimFin would your child prefer? Lightweight to take along to swimming lessons or on holiday! Tough, durable, non-fading with lots of bright colours to choose from! Children find them fun and exciting – they pick the colour they want to wear! Children have great imaginations and the Swimfin allows them to escape into the swimming world, feeling secure, fearless and self-confident to be a shark or dolphin if they so wish! As a bonus, great skills emerge from this positive swimming aid. Children are no longer ‘surviving’ a width or a length when they begin to swim unaided after using the Swimfin – they are now confident, streamline, strong, very able swimmers! Teachers find them a great all-rounder, keeping children swimming in a comfortable, safe, confident manner. They are a breeze to attach to the children (we only have small groups of 4) so this keeps us on time, making the most of every lesson but also using the most up to date swim aids! We have our very own shop here at GUST, so parents love that they can come in and buy exactly what is being used within the lessons. Children then have ownership which makes them bold and courageous coming to their swimming lessons! Parents then use them in their leisure time or take them away on holiday! The fact that we use the brilliant blue & orange colours that fit our GUST branding is a bonus! GUST Swim School runs lessons throughout Staffordshire and can be found on Social Media through their Facebook page.